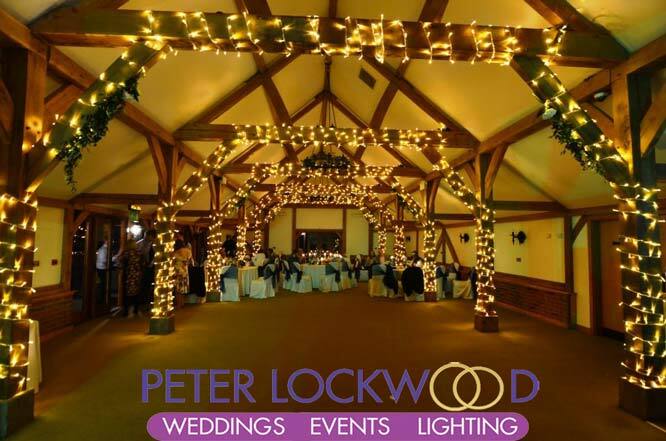 Sandhole Oak Barn Wedding Lighting. 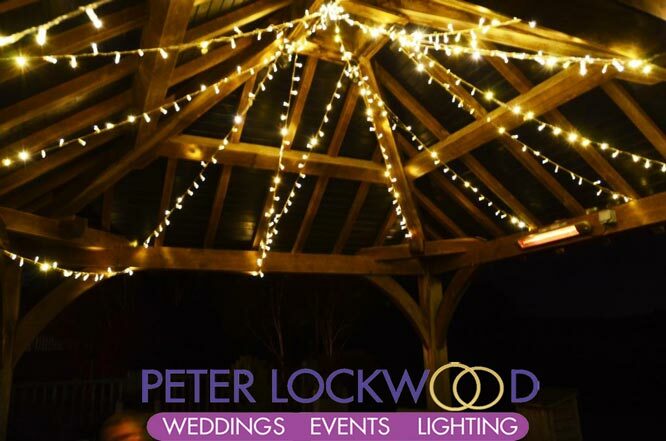 Sandhole Oak Barn Wedding Lighting. 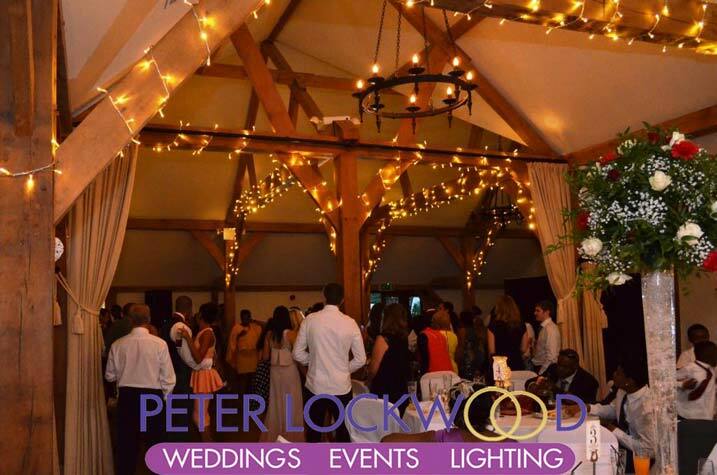 Over 200 meters of warm white led fairy lights with clear cable, to create the effect that my bride was looking for. I think it using clear cables is best as you only just see the cables. 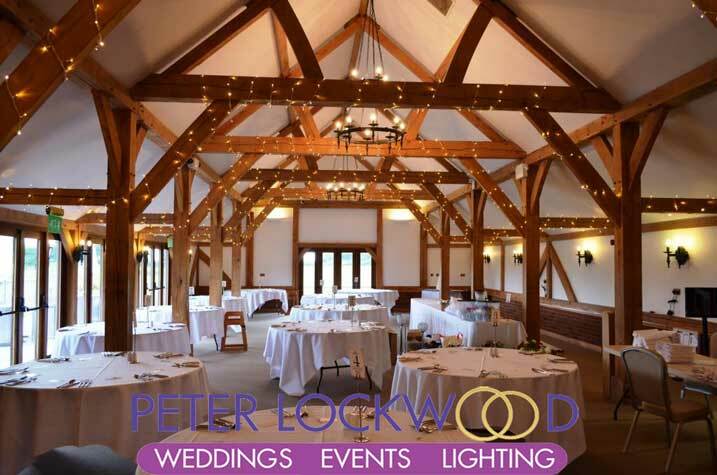 Sandhole Oak Barn is a stunning barn wedding venue in an exclusive Cheshire location overlooking a private lake. Perfect for weddings at any time of year. 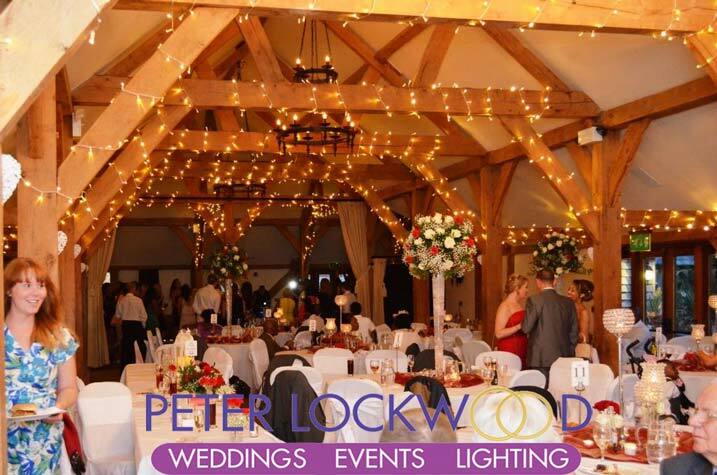 The oak beams in Sandhole Oak Barn are perfect for draping with fairy lights I think that warm white is best, I can supply bright white string lights on white cable and led festoon lights if you want something different. 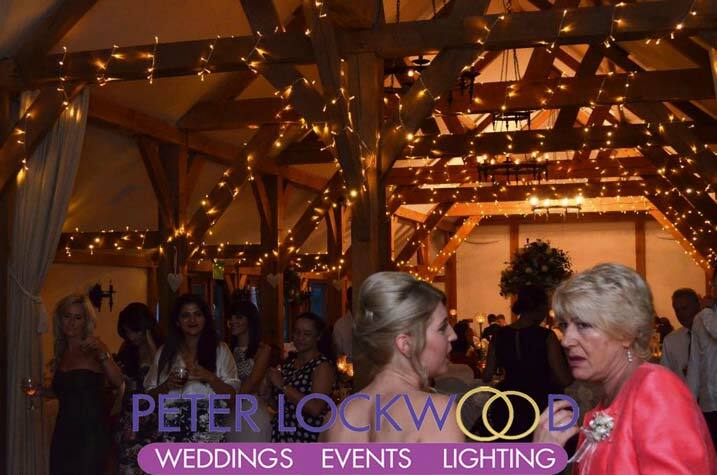 I can also provide a matching Fairy Light Backdrop to match the fairy light oak beams.